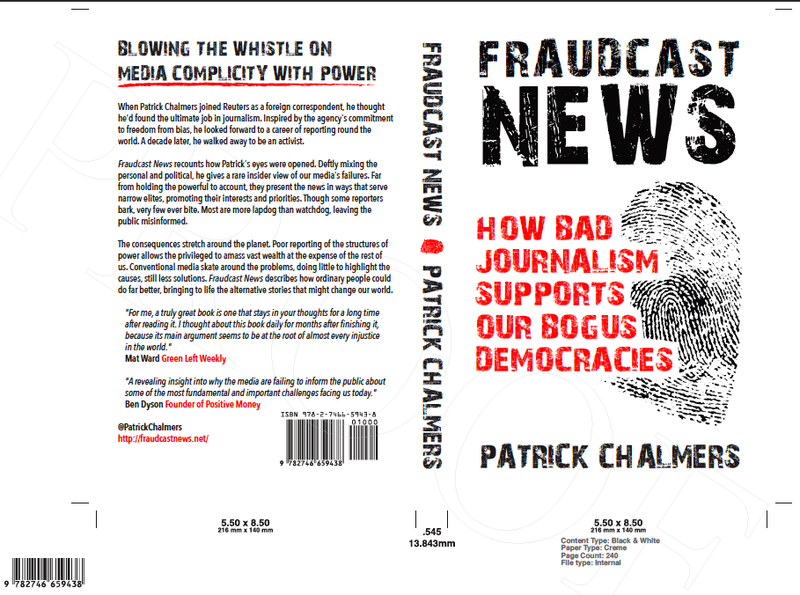 I am getting through the final stages of re-publishing Fraudcast News, a process that involves changing print-on-demand publishers (from Lulu to Lightning Source) to allow me a better distribution arrangement and greater flexibility in the cover design. That’s the idea anyway. The first tangible evidence of the change arrived yesterday in the form of a printed copy in the new format and with the new cover. I am, of course, totally biased but it looks and feels much slicker. Leafing through the pages, I am happy to say the book feels as relevant as ever, if not more so. Once it’s done, I’ll be looking for all the help I can get in publicising the new edition and doing my best to get the thing read. All ideas and assistance would be hugely appreciated. I wrote the following email post for the Baron website in response to an article about the Hacked Off co-founder and ex-Reuters reporter Brian Cathcart. Brian’s doing a great job at Hacked Off [■ The Reuter Society – Brian Cathcart: My debt to Reuters]. I went to one of its events before Lord Leveson issued his report on the UK media, when I talked to Brian afterwards. Where I think Hacked Off, and Leveson, and Reuters all miss the biggest trick is when they ignore the realities of power and how it works. That critical omission makes me nervous when I read unequivocal praise for the ethics supposedly in place at Reuters. Ethics is a hefty concept. I don’t think Reuters scores that highly on ethics as it pertains to codes of behaviour. Granted, it’s much better than many news organisations but as Leveson made only too clear, that’s hardly difficult. The principles of journalism drawn up in 1997 by the Committee of Concerned Journalists are far more comprehensive and ethically demanding than any at Reuters. The second one of nine leaps out with regard to Reuters, given its cheek-by-jowl relationship with clients in global banking, markets and finance. The principle says journalism’s first loyalty is to citizens. For the worldwide constituency of Thomson Reuters, the citizens to whom its journalists owe that allegiance are all of global humanity. In my experience as a Reuters reporter, this allegiance was a rarity when it came to daily editorial priorities. So, yes, Reuters attempts to infuse speed and accuracy into its reports, correcting those it finds to be in error. It serially fails when it comes to claims of freedom from bias as seen from the perspective of a global citizenry. This is a critical flaw its defenders are generally unwilling even to acknowledge, still less correct. Edward Snowden is a remarkable man. His decision to release a cache of top-secret intelligence documents was cooly considered for years. It will totally change his life and could even have him killed. He knows that, having worked for the CIA and for outside contractors to the US National Security Agency. Snowden’s act is one of supreme selflessness – bringing to mind those of people who have set themselves on fire to protest injustice. Thich Nhat Hant, a Buddhist monk says of self-immolation: “I think we must try to understand those who have sacrificed themselves. We do not intent to say that self-immolation is good, or that it is bad. … When you say something is good, you say that you should do that. But nobody can urge another to do such a thing. … It is done to wake us up.” He relates the story of a young Vietnamese woman, Nhat Chi Mai, who immolated herself — and was so joyous the month before that people thought she was planning on getting married. He also argues that others are burning themselves but [quoting another monk] “in a slower way. I am burning myself with austerity, with active resistance against the war.” (See chapter on self-immolation in The Raft is not the Shore — conversations between Berrigan and Nhat Hanh). I hope Snowden escapes their fate, though it is clear from his Q+A that he’s under no illusion as to what his fate might be. We should all do what little we can to support him. Development reporting suffers exactly the same sort of problems as does journalism that purports to cover conventional politics and economics – probably worse even. Too much focus on official sources and too little questioning of mainstream Western ideas about what countries and their citizens must do to “develop”. 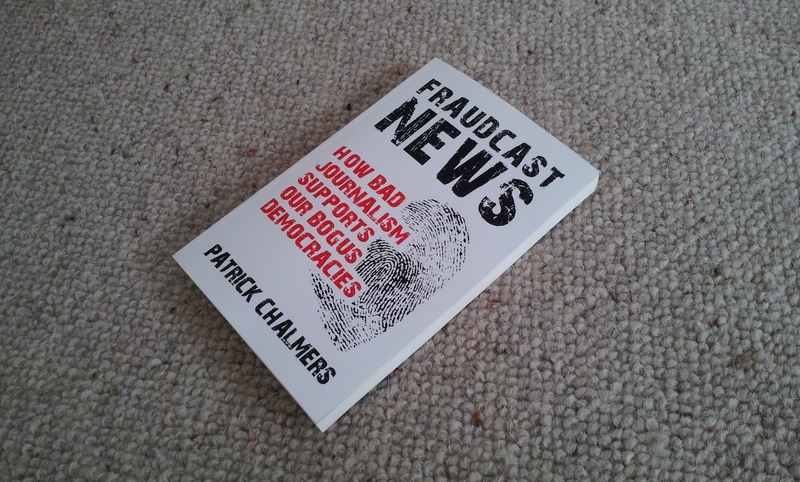 All the arguments of Fraudcast News with bells on when it comes to journalists failing to examine the realities of power, where true power lies and what ordinary people can do about it. I thought it worthwhile spending a few days working up a grant proposal for the Innovation in Development Reporting Grant Programme run by the European Journalism Centre. If it worked, I would get paid to do the journalism I attempt to champion in Fraudcast News while also leaving behind some of the same techniques for others who might do the same. The idea, simple enough, was to produce a series of smartphone video reports from Mali’s Inner Niger Delta asking the question: “Whose development for Mali?” Rather than just present another foreign perspective on resource grabbing, the idea had been to conduct a mobile phone video report training for Malians, leaving behind the means for local people to then tell their stories as they wished rather than relying on outsiders. Had the proposal succeeded, I would have been part of a visionOntv training team working together with local and international NGOs working on the ground in Mali. It didn’t, the judges deciding instead to award grants to a variety of ideas shared across a number of media outlets from across Western Europe. I wasn’t blown away by the winners. None strikes me as addressing the underlying assumptions of “aid” and “development” set against the effects of global trade, banking, financial markets and the rest as they benefit rich countries and global corporations. Shame – it would have been good to have had an opportunity put the ideas into effect with some sort of budget in hand. Sour grapes? I hope not. Development dilemmas in Mali – whose tale to tell? Malians will go to the polls this July with two military coups and a French-led assault on Tuareg separatist and Islamist rebel groups fresh in their memories. Yet what difference will elections make, however “free and fair”, to the lives of ordinary citizens? Even before Mali’s recent upheavals in government, subsistence farmers and fishers in the Inner Niger Delta faced ever-lower water levels during annual monsoon floods. While climate change might play some part, far more pressing threats come from hydroelectric dams and river diversions for massive, often foreign-owned irrigation projects. Locals complain of national politicians who ignore their plight. Bamako leaders, their ears bent towards external creditors, donors and their advisers, promote impossible development models. While chosen policies might boost abstract measures of economic health, they also ruin local livelihoods and the natural environment. No news there – Mali faces the same economic binds as poor and not-so-poor countries the world over. All struggle with questions of how to meet their populations’ basic needs without paupering citizens and their environments. 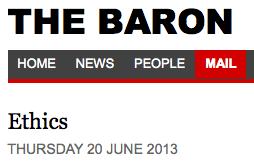 Only the strongest dare question Western development orthodoxies. Most of them, saddled with debt, fall prey to strings-attached foreign investments, debt-led growth models or demands for privatisations and deregulation. The evident damages of such policies is ignored in the rush to “develop”. Mali’s various versions of the problem play out in domestic cotton production, gold mining and livestock rearing. None illustrates it better than water, lifeline to communities dotted along riverbanks and seasonal islands across the Inner Niger Delta. Their river’s annual rise and fall follows a cycle quite unlike the ever-upwards demands of compound growth charts. Projects promising fat returns for distant investors, and payback for historic creditors, spell devastation and displacement for locals. Abstract policy becomes practical reality at the sluice gates, where operators decide who gets what water when, the weaker and voiceless invariably losing out. The global crisis of capitalism, now an open debate in rich countries, has been clear to the world’s poor during decades of Western development policies. Their voice has gradually grown stronger and more authoritative, thwarting biased agendas in world trade and climate talks and driving business at the UN’s General Assembly. As yet they lack the power to counterweight the agenda of rich-country governments, corporations and financial markets. With conventional institutions deadlocked and bereft of fresh ideas, civil societies around the world are among the few offering hopes of alternatives. This assignment will amplify those grassroots voices and foster civil society dialogue in Mali and beyond. It will bypass gatekeepers in governments and conventional media by publishing mainly direct to the internet. Three highly experienced reporter-trainers will use smartphones to make multiple video reports in the Delta and teach local stakeholder groups to do the same. Their reporting techniques, perfected by London-based NGO visionOntv, cut out the costly time-dumps of video capture, editing and encoding. Reporters’ bi-lingual output, combined with that of workshop participants, will offer multiple perspectives on Mali’s water dilemmas, opening a wider window on development questions themselves.